Well I've had fun! Stuffing my face with cake and free samples. 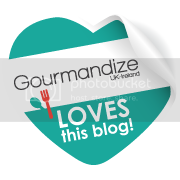 Did any of you readers get the chance to visit the Cake and Bake Show in London this year? My friend Lucy and I are making this an annual 'thing' (You can read last years post here). I was hoping that I would do a video on it... until my camera broke. Thats right. On the one day of filming I REALLY needed a good camera... erg. Tech. Such is life. I thought I would do a blog post on what I purchased. Firstly, food because... food. 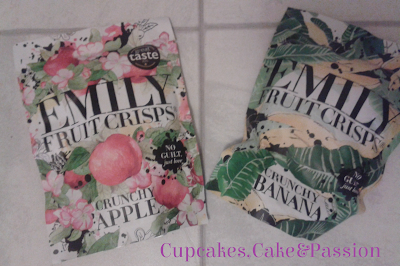 I grabbed some Emily Apple and Banana Fruit crisps. But these are the best crisps I've ever had. They were just soft enough in texture not to be soggy but crisp enough to crunch on and not break your teeth. 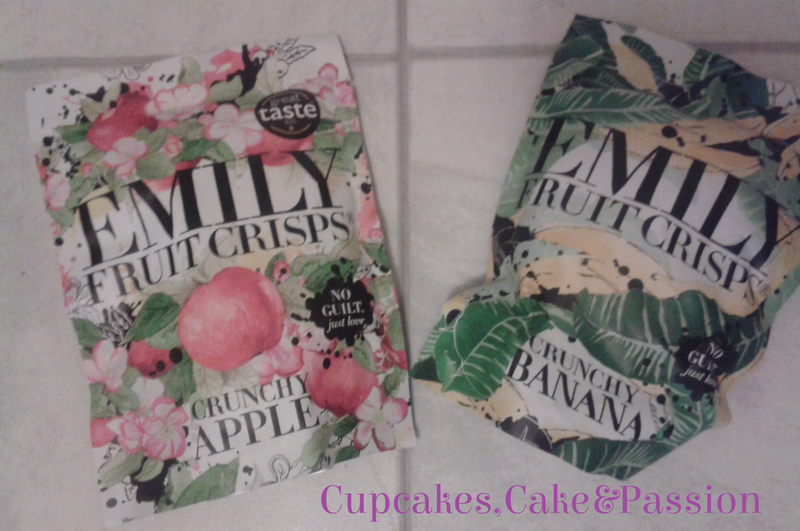 The flavours are true fruit flavours. Seriously, totally worth buying! I got a super weird gizmo. Its a peeler. BUT NOT JUST A PEELER! 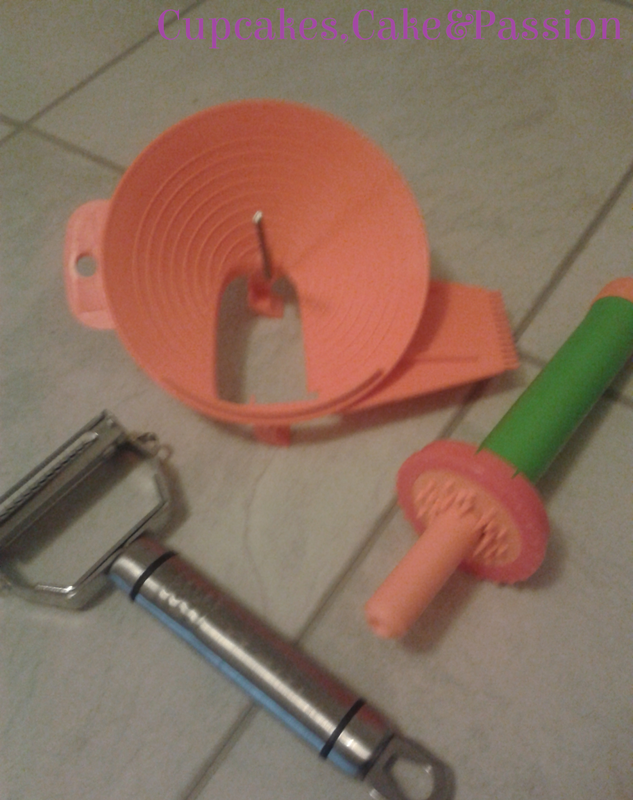 Its a julienne vegetable and fruit peeler with a cool attachment to make noodles from veg. Lucy was full on impressed with this, that she didn't hesitate in buying it. I was convinced to get one also and the peeler does assist me in daily cooking tasks. 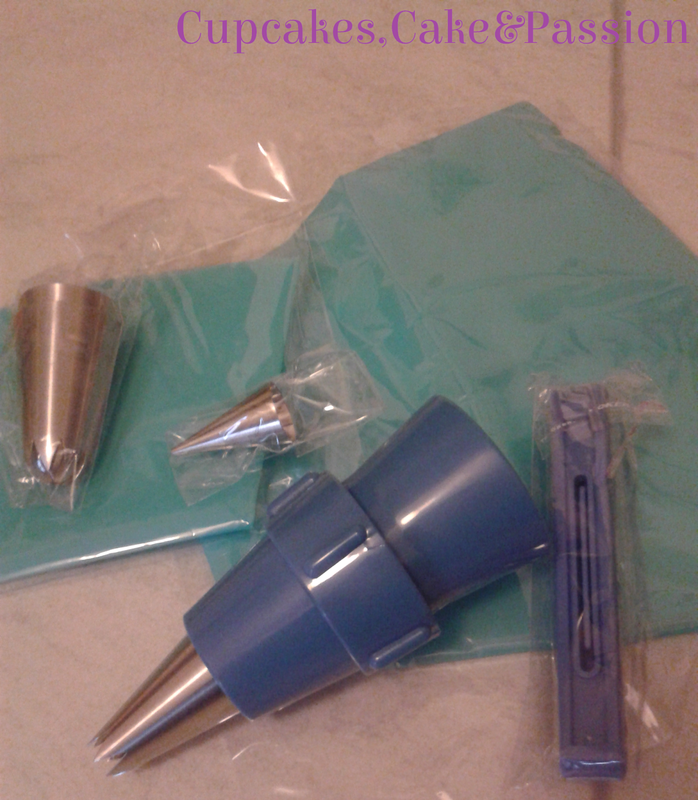 I also got a new piping bag and nozzles... pretty standard. 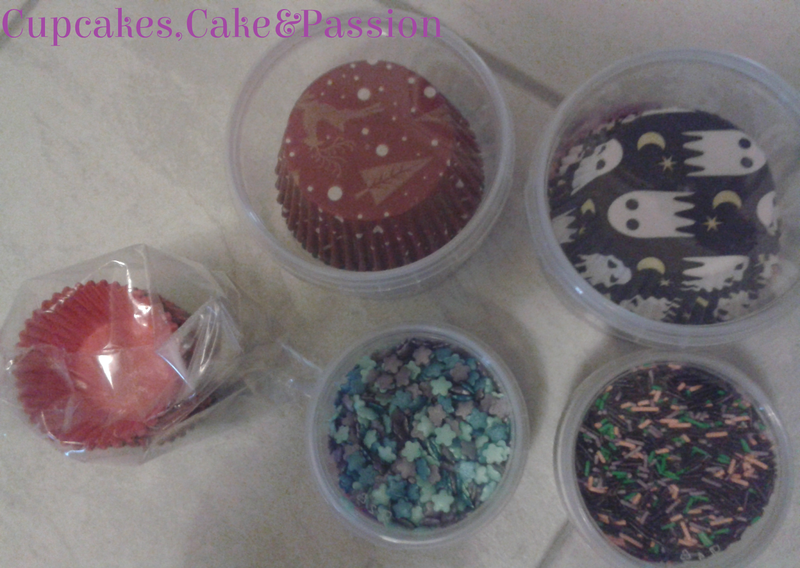 For my Halloween bakes this year, I got some pretty sprinkles and cupcake cases from one of my personal favourite places to shop, Scrumptious. 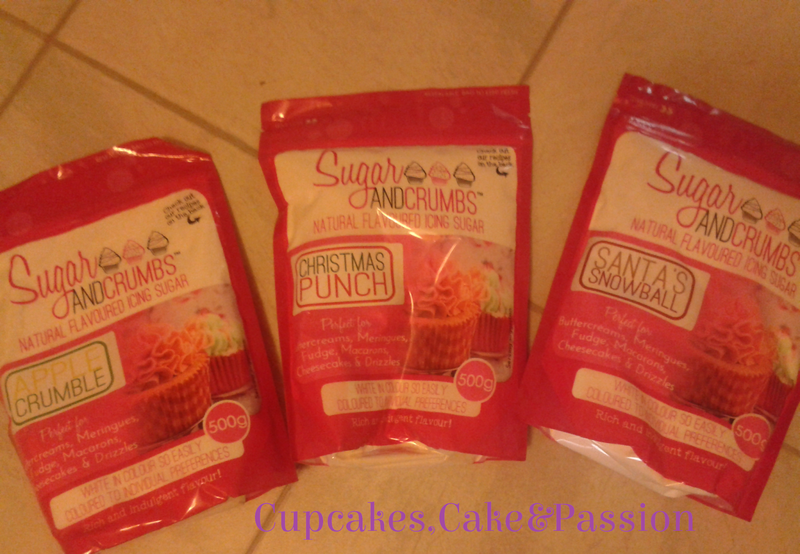 I bought some green, purple and orange sprinkles as well as some jazzy violet sprinkles. They have a great selection of sprinkles, decorating materials and cases. I did get some adorable ghostly cupcake cases as well as some Christmasy ones (don't judge me I know its only October). To stuff my face with, I got marshmallows from both 'The Marshmallowist' and 'The Marshmallow Company'. 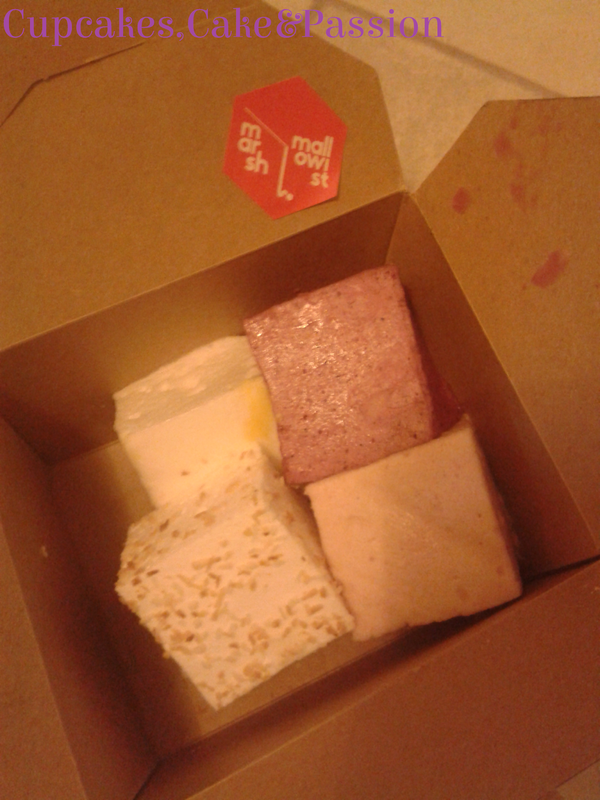 From the Marshmallowist, I got strawberry and basil, blueberry and gin, lemon and coconut flavours. Now, I must be truthful, the flavours didn't really come through apart from the coconut. I haven't tried 'The Marhmallow Company' marshmallows yet but I will do and will add what I think here. I did get some special icing sugars, like I do every year, from another one of my favourite companies: Sugar and Crumbs. I bought: 'Santa's Snowball' which tastes like white chocolate and marshmallows (yum!! ), 'Christmas Punch' which tastes like mulled wine and lastly, 'Apple Crumble'... which is what you expect. They make great buttercreams, or as a substitute for caster sugar in cakes.